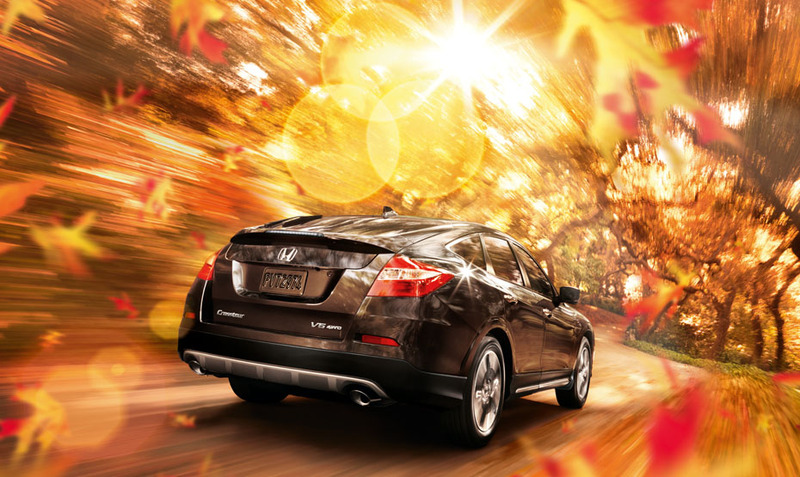 With the performance and space of a crossover SUV and the handling of a car, the five-seat 2013 Honda Crosstour is one of the most unique vehicles on the market. Its aggressive stance and streamlined design also gives it a sleek look. Don’t confuse it with a wagon, though; it’s so much more. If you’re considering a crossover vehicle, we encourage you to stop by Middletown Honda to see how the Honda Crosstour differs, and why it continues to be a popular choice with active Middletown and Mahwah drivers. We also understand you’re considering similar cars like the Hyundai Santa Fe. The 2013 Hyundai Santa Fe, another five-seat option, misses many of the features that come standard on the 2013 Crosstour. Here’s how the two models match up. One of the most fundamental differences between the Crosstour and the Santa Fe is in body construction. The Crosstour is built on the same base as the Accord, but offers more space overall and better performance. Like we said, though, many drivers find that it still handles like a car. This is a good alternative for drivers who don’t enjoy the feeling of piloting SUV-style models like the Santa Fe, but still need space and power. The Crosstour is so much more than features, though. The only way to get a feel for it is to take it out for a test drive around Middletown. Visit us at our dealership at 520 Route 211, a quick drive north from Mahwah. Thanks to a dedication to quality sales and service, we continued to be one of the most trusted names around in the auto business. If you have any questions, please don’t hesitate to contact us!